Happy Monday, quilters! 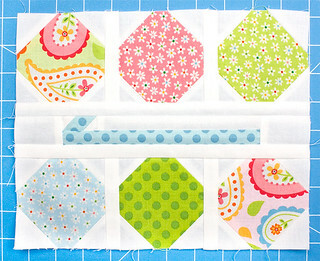 We are back with the next block in the Great Granny Sew Along with Lori Holt of Bee in my Bonnet. Today we are sewing the Crochet Hook & Yarn Block. 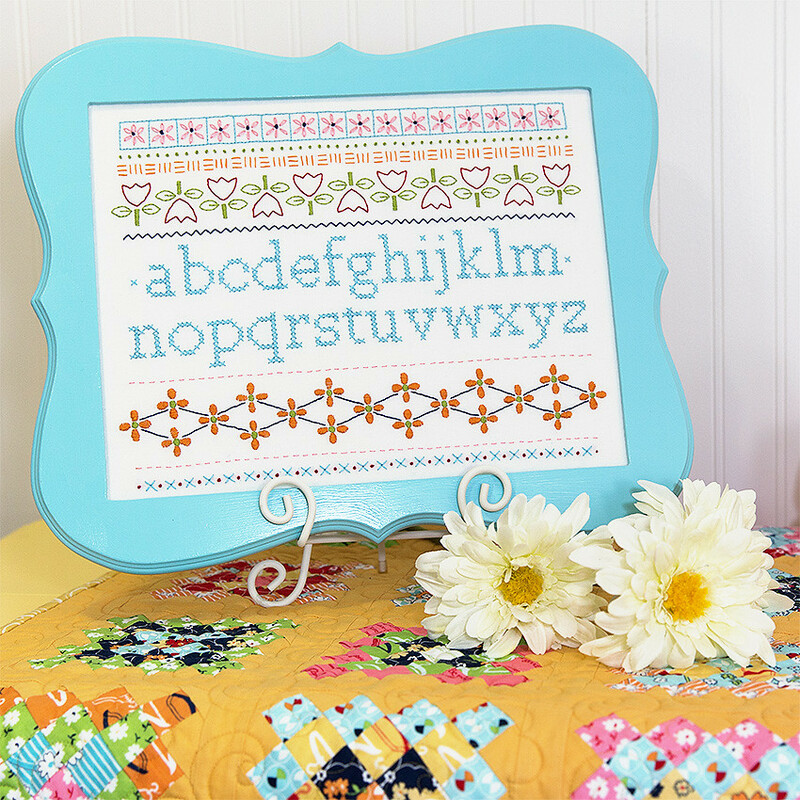 Hop over to see more versions of this block by Happy Little Cottage, Lovely Little Handmades, and Clover & Violet for an extra dose of cuteness (and more giveaways!). 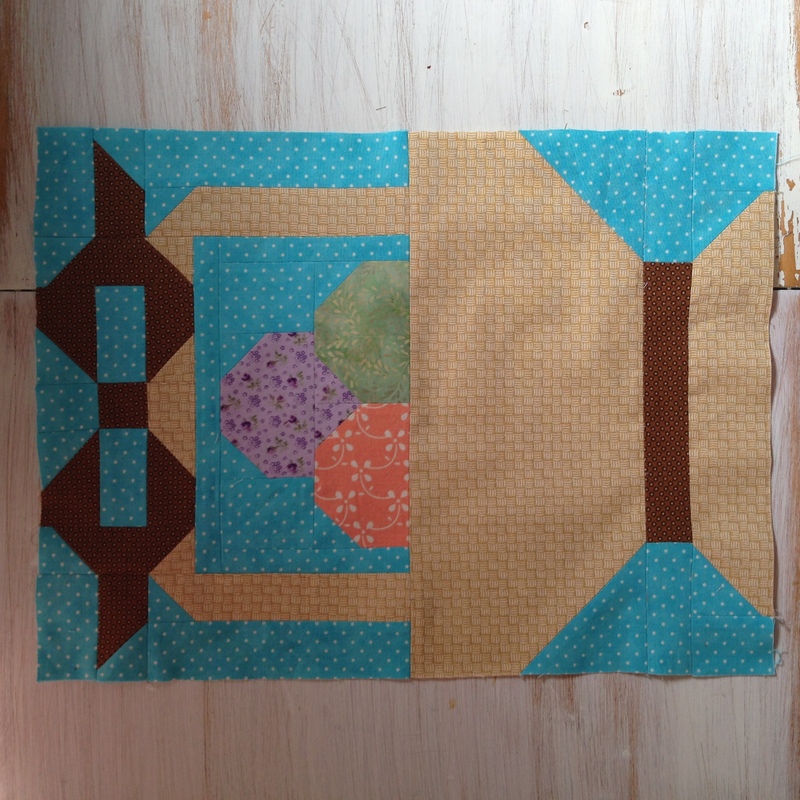 Crack open your copy of Great Granny Squared, download the cutting PDF, and let's get sewing. 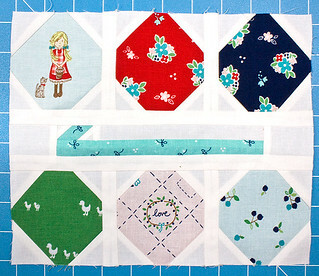 Kimberly's is sewing her Mama's Crochet quilt with Country Girls fabric by Tasha Noel. Debbie is sewing her Mama's Crochet quilt with My Sunshine fabric by Zoe Pearn. Sew up your Crochet Hook & Yarn Block for a chance to WIN some prizes! Next week we will choose three winners from the pool of photos in the Great Granny Sew Along Flickr Group. Our three lucky winners will receive the new Stitchy Fun Embroidery Sampler Pattern by Lori Holt of Bee in my Bonnet. We hope you are ready for some embroidery! The winners of last week's Sullivan Embroidery Scissors and Clover Point Protectors giveaway are Lehsmik, Kath in Ohio, & Nevi's Gran. Check back next week to find out if you are one of our lucky winners, and to start on the next block in the Great Granny Sew Along!